(August 2004) "One person can do a painting, one person can sing a song, one person can write a poem, but a whole bunch of people make a motion picture." -- Peter Fonda, for "Ulee's Gold." - 1998 Golden Globe Best Actor in a dramatic film. I should know better by now, but it still never ceases to amaze me how many people in the entertainment field come from our region; or at least have ties to one of the New England communities. This year as we were reviewing the more than 1300 entries to our annual festival in August, we found time and again that filmmakers would make a point of telling us that they had some local affiliation. They went to Brown. They studied at Boston University or Emerson. They graduated from the Rhode Island School of Design. We found that the landscape was made up of more than the usual high-profile suspects: the Farrellys, Michael Corrente, Ken Burns or Gus van Sant. New Englanders are very entrenched in New York and Hollywood and they have maintained their ties. I recently spoke with another Rhode Islander, Kimberly Shane O’Hara about her industry career on the west coast. She and Eric M. Klein are the principals behind O'Hara/Klein. They formed a successful partnership over a decade ago based upon a shared passion for the art and business of filmmaking. They started hands-on work in the offices and on the sets of motion picture and television productions, and through the duration of their partnership, have been actively involved in bringing to fruition over 100 productions. This extensive focused experience forged the path to producing, and competency in all areas of filmmaking, including - physical production, financing and film sales. To date, they have actively produced eight feature film projects, building an extensive database of creative talent and distributors, in the last six years. NEED: What is the guiding philosophy of the company? Kimberly Shane O’Hara (KSO): It’s fair to say that O'Hara/Klein are business people as much as they are storytellers. Total immersion into these two roles go hand in hand since as the partners we aggressively seek screenplays and books, and then financing for these literary properties that are carefully shepherded into quality motion pictures. I think our hands-on approach and experience from many earlier productions, plus demonstrated track record of getting these films to the domestic and foreign markets, make O'Hara/Klein stand out from the crowd. NEED: Tell our readers about your background. Where are you from and what inspired you to get in this discipline? KSO: I am the black sheep of my family. No one is in the film business except my grandfather, who was an on again, off again stage actor. I recently had a childhood friend from Lincoln School in Providence Google me, and find the “American Reunion” web site with my interview and the film's trailer. She wrote me that it made sense that I was a film producer and screenwriter considering I practically took over the film class in 8th grade from the teacher at Lincoln School! I laughed when I heard that because I had no idea I was aggressively running the show that young! I did think I wanted to be an actress for many years, but then I learned about all the areas of filmmaking and I realized I wanted to tell stories and work with top quality actors who could help me in that effort. I grew up in the small fishing town of Warren, RI, barefoot in the summers, big ol' Victorian house on Main Street, doors unlocked. It was a different world then. My grandfather, the only thespian, had roles at the Matunuck's Theatre-By-The-Sea’s “Camelot,” “Shenandoah,” “Grease.” I went back last summer to see it and was surprised how intimate it was. When you are eight years old, and a lot smaller, everything is relatively grander, I guess. My parents were always working hard in their own businesses, and so I grew up witnessing their tough work ethic, and therefore it makes sense that I can motivate myself every morning, go to my own company and drive it forward. always had three jobs in college, and when I worked in production in NYC, I worked long hard hours. I have always worked very hard, but recently have learned how important it is to take time off every week to have aesthetic stimulation, like a museum, or a hike in nature. That is a great plus about Southern California; lots of mountain ranges and hiking. NEED: What did you do before starting your own company and when did you know that O’Hara/Klein was what you wanted to do? KOS: I was working in NYC on independent film productions. Eric, now my producing and business partner, was a union grip, and he worked with some real lunatic directors like Abel Ferrar. He did get to observe a lot on those shows and what made them tick. I eventually moved up to line producer on very low-budget films, which has to be the most stressful and thankless job anyone can have. Every problem is your fault and you never have enough money to solve anything. I was a constant whirlwind with a walkie-talkie, loud mouth and never-ending checklists. This was all before cell phones and high speed Internet. Eric and I burned out around the same time and left NYC to change our atmosphere and start producing ... and we did exactiy that. Our first company was Yellow Duck Productions, named by Eric's mom from his nursery school. We have been O'Hara/Klein since our last two films. NEED: How do you find the projects that you get involved with? Do you have a philosophical agenda or are you looking for what will be commercial? It is amazing how many people in the movie industry group themes together. I had a fantastic piano script once ... but couldn't drum up a penny for it because people said "Shine" was already made. If that was the case for "Shine", people would have said "Five Easy Pieces" or "The Piano" were already made ... thank God they didn't because "Shine" was an exceptional film. Anyway, I put “Happy Hour” down, as my partner shared my sentiment, and read other scripts for a year. ALL AWFUL. So I pulled “Happy Hour” back out of the closet and said "Let's make this." One year later we shot in NYC with Anthony La Paglia and Eric Stoltz on a production budget of only $750,000. “American Reunion” was written from my heart. There are so many parts of me in all the characters; many parts of Eric who helped me craft the framework of the story. We had been to Denmark for a film festival and we had been very impressed with the DOGME95 philosophies of no artificial light, no sets, no genre (films such as “The Celebration,” “Italian for Beginners”). It appeared to us to be a way to bring the focus back on the story and the performances. So we wrote this film and decided to tell all the actors and the crew these rules would apply, and everyone jumped in feet first. 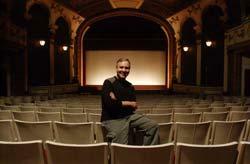 Our first director of the original “12 Days in Ojai, California,” Leif Tilden (from Boston) had never even directed a feature, so to do so with these constraints was tough and stressful at times. Mark Poggi, the co-director, saw the rough edit, and brought a fantastic vision and emotion to the film with additional photography and collaboration with a talented editor and composer. I have learned a lot in the last year about the business of making films, and it is still hard to say what will be commercial. My favorite saying is "Luck is when preparation meets opportunity." I spend time meeting people in all areas of the business including theatrical exhibitors, but what really makes a movie successful starts with the script. It has to jump off the page and really knock your socks off. If it is average, it will probably remain average, no matter how many people you bring in to doctor it up. NEED: Tell us exactly what a producer does. What sorts of things drive you on a day-to-day basis. Do you come up for air? KOS: Everything. That is why it is the last Oscar of the night! No, really, the common belief is a producer only finds the money. Well, in order for a producer to find financing they need to have a project they believe in. I have read books that I put on my shelf and say, “I can't make this right now, but one of these days, I will contact that author and get that made into a movie.” This just happened recently. I had read a nerve-wracking rollercoaster paperback crime story, “The Sleep Police,” by Chicago author Jay Bonansinga about two years ago. I had made notes on it and put it on my shelf, knowing that we were focusing on promoting “Happy Hour” and building “American Reunion.” I finally was able in the past year to contact the author, do the option, and adapt the book to script with him. This will be my second screenwriting credit. Not every producer writes. Jerry Bruckheimer is a producer who puts talented people together and makes a lot of money doing so. My producing partner Eric coordinates a lot of the logistics. He has an extensive database/relationships with film festivals, and did basically all the fullfillment* on our “American Reunion” theatrical release (*“Fullfillment” is getting trailers to the theaters, making sure they are running, postcards in the lobbies, ads designed and in the various newspapers, even press screenings in the various cities too small to hire a publicist). He knows where all the film elements are stored in the vault and has all the deals with the labs. He handles all the LLC paperwork with the accountant and does things like oversee all the foreign sales elements for the films. He does a lot of thankless tasks, but on the flip side, he has the option on some amazing projects that he will produce. NEED: Given the stereotypes about producers and directors, tell us about some of the experiences you’ve had with directors. Have you found that they are driven as an auteur; or have you found them to be team players? KOS: Ohhh…. this is a rough question. I don't know if I can answer this one. Can you ask me after my next two pictures? NEED: What sort of experiences have you had working with talent? Any horror stories (without naming names) you can share? KOS: Actors are incredible. They carry a huge weight around on their shoulders, at least the really focused intense ones do. I don't have any bad stories to tell besides the usual breakdowns in the make-up trailer, tantrums on set, vegan catering requests. Robert Vaughn was probably the most professional actor I ever worked with. Since he is a whole two other generations older than me, I underestimated, in fact we all did, his popularity. We were shooting outside the old Algonquin hotel in NYC right smack in the theater district and word got out that Robert Vaughn was shooting a scene outside. A crowd three people thick amassed in the matter of minutes, and we just didn't have enough staff to keep them all from yelling at him and flashing photos. He stayed perfectly calm, did his scene, nodded to the crowd and that was it. Eric Stoltz was a real card. He loved to ham it up for the camera after the director yelled "Cut." I spent a lot of time watching dailies giggling at his antics. NEED: Given the competition out there, what do you think sets O’Hara/Klein apart? KOS: We understand that just making the movie is not enough. You have to study the marketplace and be willing to aggressively market your film with innovative ad dollars and promote independent theatrical roll-outs. 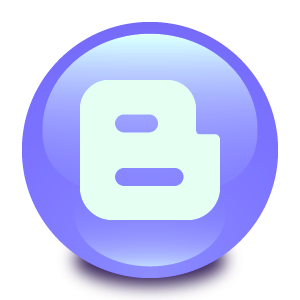 DVD is where all the money is made, and you can up your DVD awareness by opening your movie in select cities and building a web mailing list to inform people all over the world when your movie comes out in the video stores, or on Netflix. Theatrical ups the value of the DVD release, so if you can set aside money to open the film in some theaters, do it! NEED: Where do you see yourself in 10 years time with this company? What are your goals? KOS: Winning an Oscar. Seriously. We will. Building O'Hara/Klein into a new studio ... the next United Artists. A place where movies can be made of interest to actors, directors, writers, and can be believed in through the end and not put on the shelf due to corporate decisions. NEED: When you were growing up in Rhode Island, did you expect that you would be where you are today and doing what you do? KOS: Gee, all those times that I had my nose in a book, I really didn't know. I was a concert pianist, something my mom pushed on me. I was good, but I wasn't the silent musical type. I read a lot because I had been an only child for many years around all adults. My sister (who is a fashion designer) was born 8 years later, but I was already in my own world. My mom has shown me some poems I wrote when I was ten, twelve, real searing intellectual words, and understand now why I am in therapy (ha, ha). I was always a writer, I just never was formally trained, so I had to learn by doing it over and over again on my own. NEED: Do you work with New England filmmakers? KOS: I would love to!!! I really would. I have not come across a director or writer yet with a project to make that happen. I think I will end up writing a script that takes place in Rhode Island and shoot it there. I believe, as I mentioned above, that one of the directors of “American Reunion” is originally from Boston. I believe we shared that kind of honest homespun mentality from time to time while working together. NEED: What would you tell a communications or film major at one of regional colleges/university that they should know about the business that they are not taught in class? KOS: Have a thick skin. This is not a business for the sensitive at heart. You will make enemies along the way, people who have agendas that don't mesh with yours. Hollywood is definitely a selfish sad place, but on the other hand, there are a lot of driven passionate people who made the choice to be hear to work in the film business. Don't let anyone question your integrity. You will find the right group of people or partners if you stick with how YOU want to make movies. Be kind and persistent, but don't be ruthless. NEED: Any comments you’d like to add? “American Reunion” will play the Rhode Island International Film Festival on Saturday, August 14th at 7:00 p.m., the Columbus Theatre, 270 Broadway, Providence. 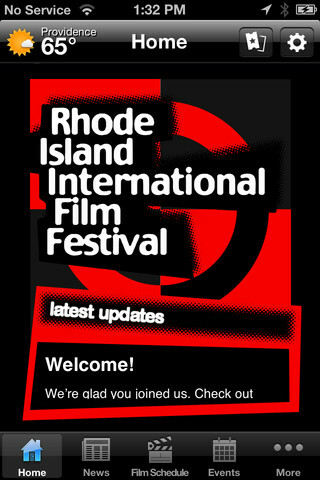 For more information about the Festival, go to www.RIFilmFest.org.